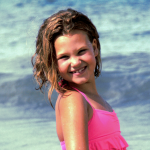 Donate directly to the Abby’s Angels Foundation through our Donation Portal. You have the ability to make a one-time or a recurring donation and can pay by credit card. Through this organization, kids can choose a charity for their birthday party guests to donate to in place of gifts. Then the child gets a visa gift card from Kids Can Give Too! Amazon donates 0.5% of the price of your eligible AmazonSmile purchases to the charitable organization of your choice. 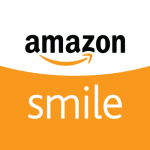 Support us by starting your shopping at smile.amazon.com!